If your ancestors lived in New Zealand, you can use historical government death records to help you create your family tree. These records include valuable information about New Zealand residents and their families. In 2009, the New Zealand government created an Internet site for vital records, called Births, Marriages, and Deaths Online. You can use this site to search death records and request copies for your genealogy files. The site limits access to records that are more than 50 years old or records for New Zealand residents who were born more than 80 years ago. To search the official government death records, you'll need the name of your ancestor and the individual's approximate date of death. The online death record search is free. However, if you want a printed copy of the record, you'll need to pay a small fee. Researchers believe that the indigenous Maori population first settled in New Zealand in about 1300, which makes the country one of the last areas on the planet to be settled by people. 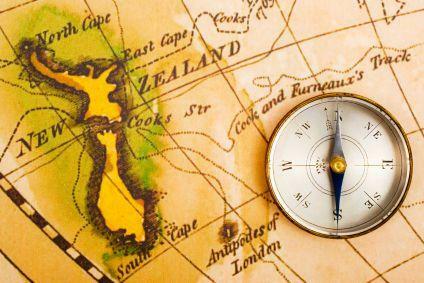 Although Europeans first discovered New Zealand in 1649, they did not settle in the area until the early 1800s. Immigration increased throughout the 1800s. By 1848, New Zealand began keeping official government records of births and deaths. After more than a century and a half of record keeping, the New Zealand government now has a database of over 2.4 million death records. The information contained in these records varies significantly depending on the age of the record. For descendants of early New Zealand residents, death records represent a wealth of useful information. Be sure to record the details of your search in your genealogy software files or family tree diagram so you can access it later in your research.